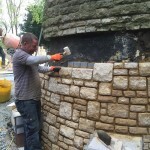 Whether it’s a disintegrating bay window, leaking church clerestory or the need for a stunning new retaining garden wall, if it’s made of stone we have both the experience and the skills to repair or build it. So if you are a home owner, church or landscape gardener, take a look at the following pages to see how I can help. Or read testimonials from some very happy clients. 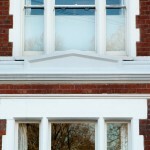 Do you need windows restored, stone repaired, windows converted into doors? 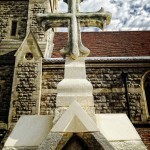 Do you need crosses restored, new stonework, sculptures, fonts? Do you need coursed rubble walling, sculptures, letter carving?